In my last review, I rounded up four of my essential GoPro accessories for the road, however these two Joby mounts, the Action Clamp Locking Arm and the Action Clamp GorillaPod Arm, are also handy to have in your shooting arsenal. Designed for the GoPro as well as for Contour and Sony Action Cam compact video cameras, Joby thought of everything when designing these. 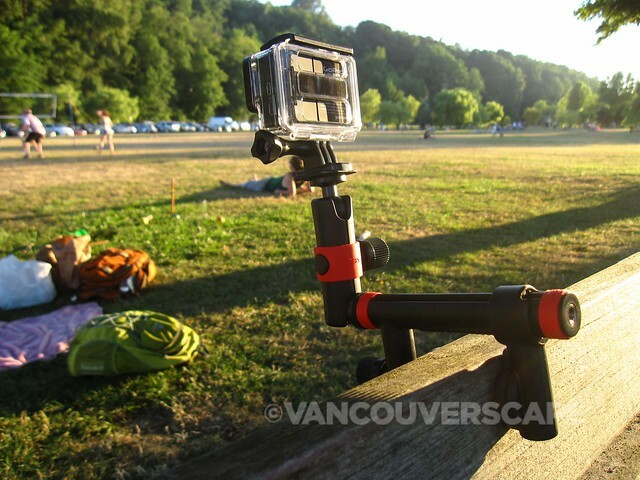 For one thing, you can position the GoPro (or other compact video cameras) at any angle, and tighten the arm around numerous surfaces. Once the arm is tightened, the camera will shoot without additional vibration. Two pivot points can rotate 360 degrees and pivot 180 degrees from side to side. 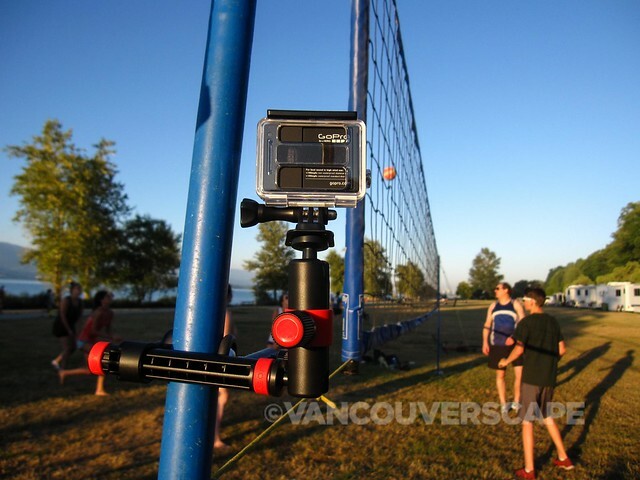 Two articulating ball joints allow the GoPro to be positioned at any angle. 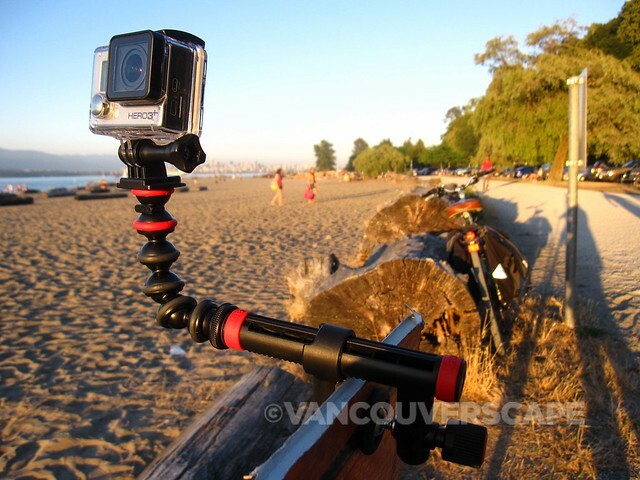 Similar in size, style, and colour, both models include a GoPro mount and adjustable clamp. The GoPro mount itself can be removed to screw onto a Contour or Sony Action Cam with a 1/4-20” screw and be used with any tripod. As with the Joby GorillaPod, you can purchase an optional GripTight Mount for using an iPhone or Android smart phone with the system. 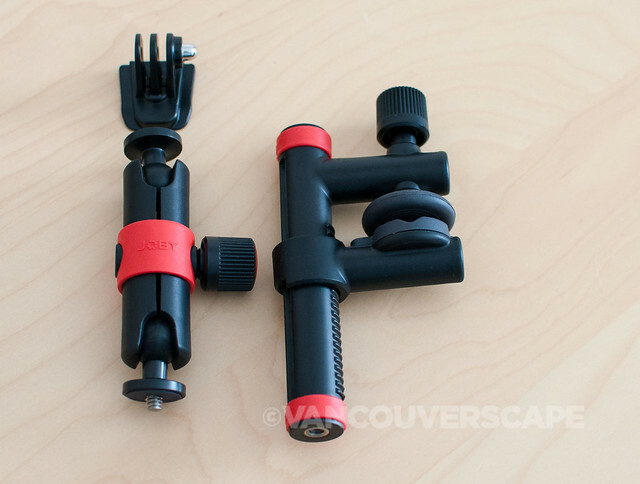 Both action clamps are compact enough in size to throw into a backpack or video camera case. 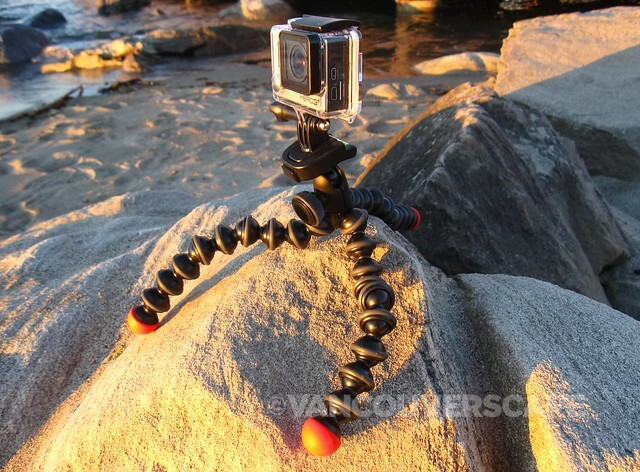 The Action Clamp with GorillaPod Arm takes advantage of the flexible balls and sockets for even greater positioning options. This clamp will also mount on either top or bottom of the clamp, its locking arm able to accommodate surfaces from thick to thin (as with Joby’s Action Clamp Locking Arm) up to 2”/5cm wide. 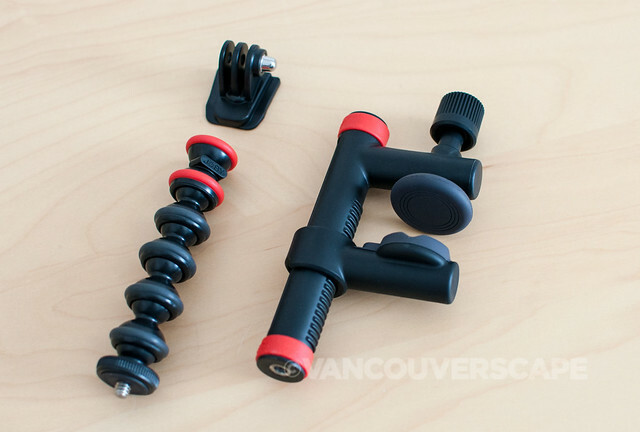 Both the Action Clamp Locking Arm (CDN $39.99) and the Action Clamp GorillaPod Arm (CDN $29.99) are available in Canada at London Drugs, Kerrisdale Cameras, and Terrace Sight & Sound. I was sent both Joby clamp systems for the purpose of writing this review.